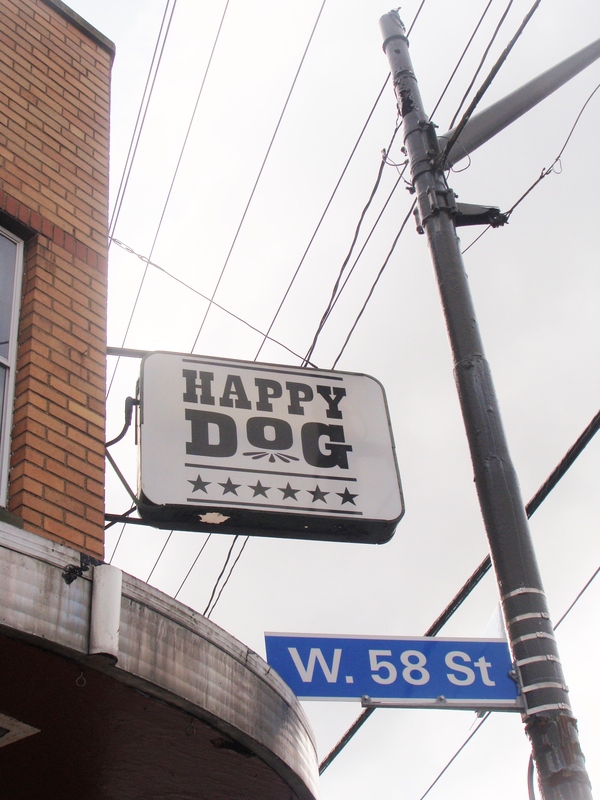 Hot diggity dog, I’ve found a new Cleveland favorite: The Happy Dog in Gordon Square. 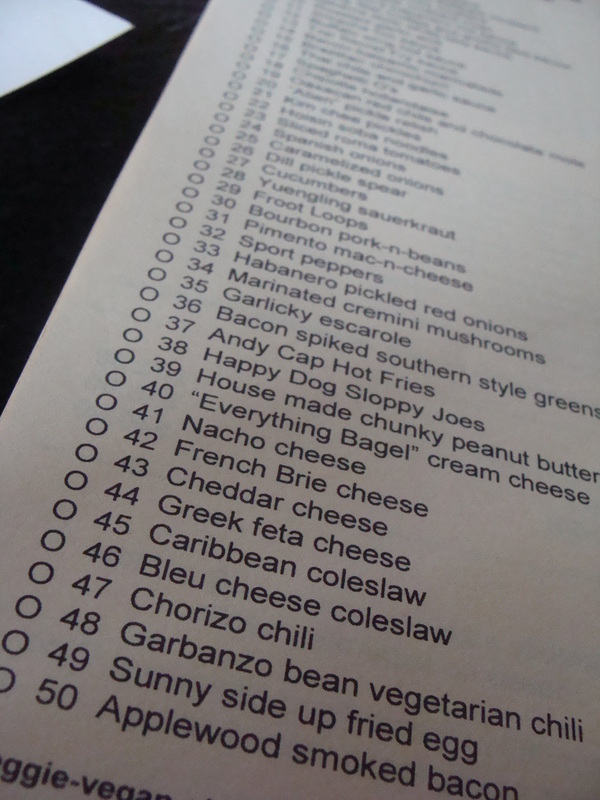 The concept is simple and wonderful: a quarter-pound all beef hot dog served with any toppings you’d like from a list of 50+. And on the side? The best tater tots I’ve ever had with an assortment of unique sauces. Plus a cold beer. It doesn’t get any better. FEAST! Cannot wait to eat this meal all over again. 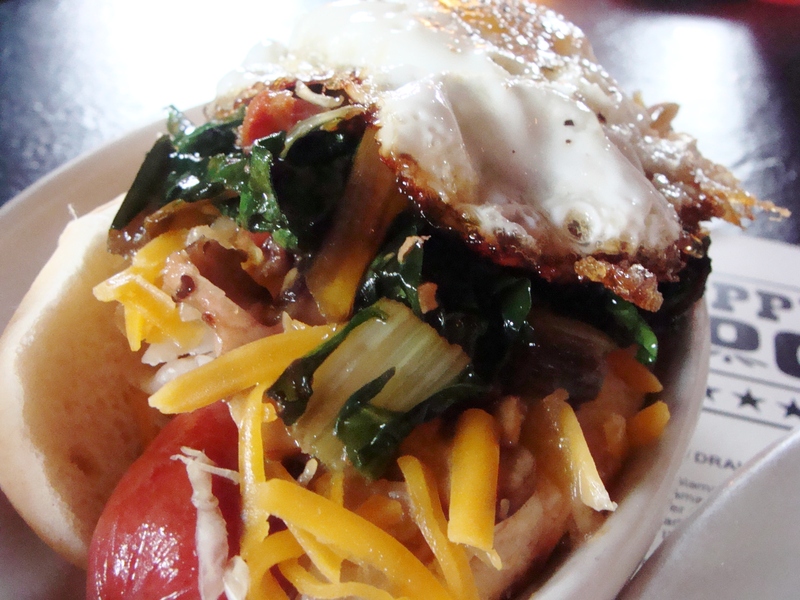 The boyfriend’s dog: braised collard greens, cheddar cheese, grilled onions, and a fried egg. I went Southern: pimiento mac & cheese, blue cheese coleslaw, grilled onions, and a dill pickle spear. 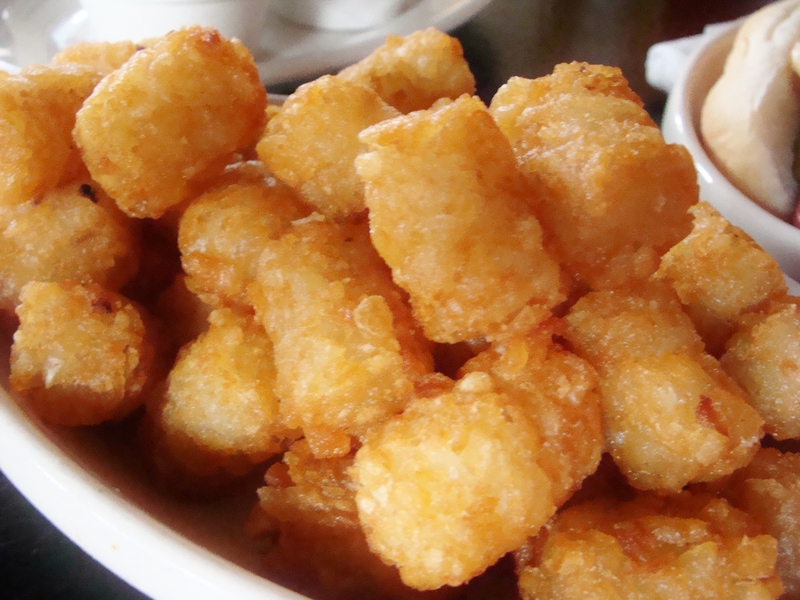 The tots; oh, the tots. Crunchy, light, delicious, couldn’t stop eating them. We had them with an assortment of 5 sauces: roasted garlic aioli (my favorite), top secret fry sauce (my other favorite), black truffle honey mustard, house made ketchup, and chipotle ketchup. I’m too indecisive for this list. Major selection anxiety, but it all worked out. 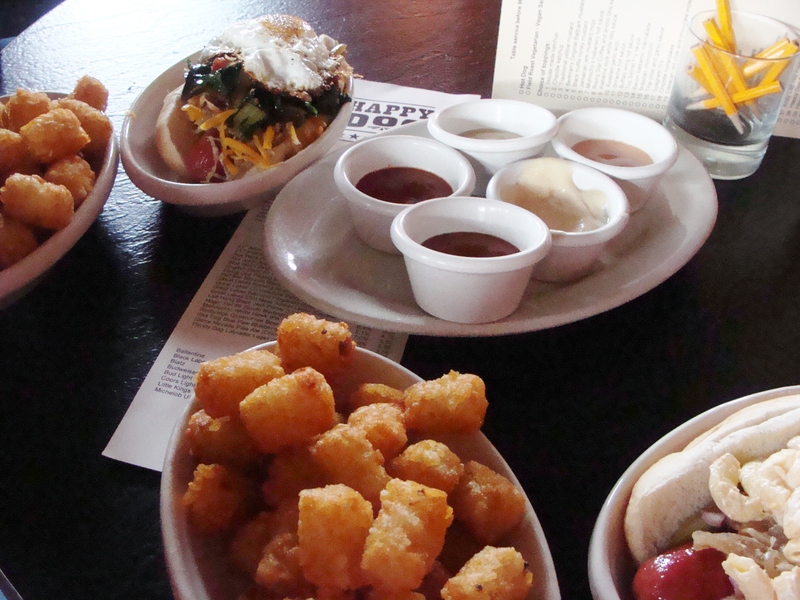 Visit The Happy Dog at 580 Detroit Avenue in Cleveland. Parking available in lot across the street. 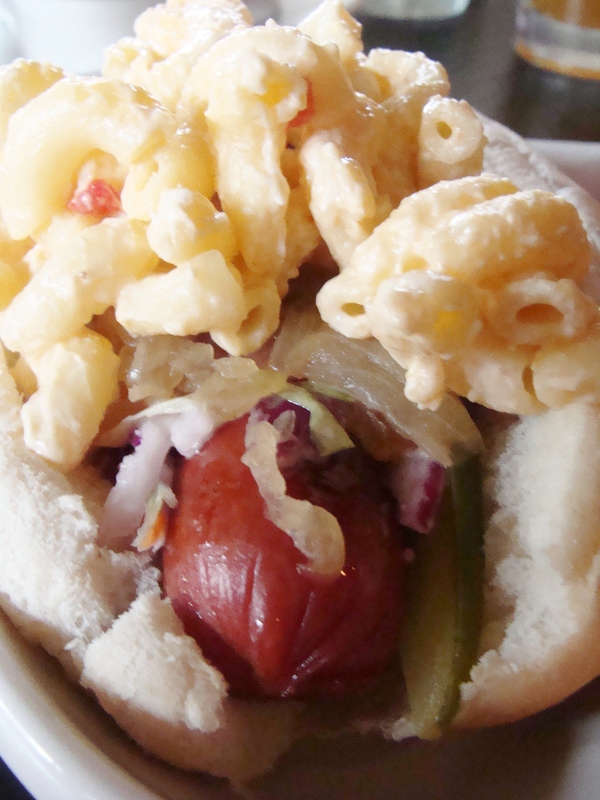 You are currently reading dining out @ The Happy Dog (Cleveland, OH) at The Cheesy Kitchen.